China, 1957. Chairman Mao has declared a new openness in society: "Let a hundred flowers bloom; let a hundred schools of thought contend." Many intellectuals fear it is only a trick, and Kai Ying's husband, Sheng, a teacher, has promised not to jeopardize their safety or that of their young son, Tao. But one July morning, just before his sixth birthday, Tao watches helplessly as Sheng is dragged away for writing a letter criticizing the Communist Party and sent to a labor camp for "reeducation." As Kai Ying struggles to hold her small family together in the face of this shattering reminder of her husband's absence, other members of the household must face their own guilty secrets and strive to find peace in a world where the old sense of order is falling. Once again, Tsukiyama brings us a powerfully moving story of ordinary people facing extraordinary circumstances with grace and courage. Born to a Chinese mother and a Japanese father in San Francisco, Gail Tsukiyama now lives in El Cerrito, California. 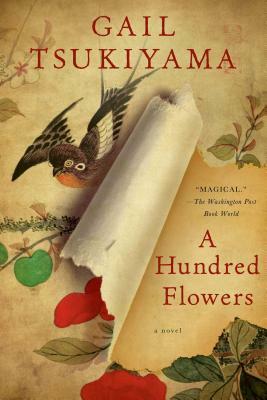 Her novels include Dreaming Water, The Language of Threads, The Samurai's Garden, and Night of Many Dreams.